Investigators from both Norway’s police intelligence unit PST and the national security authority NSM were cordoning off printers at the Parliament and reportedly searching for electronic bugs, following the arrest of a Russian charged with espionage during the weekend. Russian authorities, meanwhile, summoned Norway’s ambassador in Moscow and warned of reprisals unless all charges against their citizen are dropped. It was a busy day on the diplomatic front, compounded by the absence of both Norway’s Prime Minister Erna Solberg and Foreign Minister Ine Eriksen Søreide. They’re both in New York for the UN General Assembly this week, and tried to distance themselves from all the action in Oslo. Eriksen even tried to insist that “this is a police matter, not a political matter,” while her Russian counterparts were sending very different signals. They contend it’s purely a political matter, and another example of “western aggression” against Russia. “We have registered the Russians’ view, but this is a matter that’s under investigation,” Søreide told Norwegian Broadcasting (NRK) on Monday. Meanwhile, Norway’s ambassador in Moscow, Rune Resaland, was called in for “a conversation” at Russia’s foreign ministry. NRK reported that he was met with a strong protest of the charges filed against the man they identified as 51-year-old Russian citizen Mikhail Botsjkarev after he was arrested at Oslo’s main airport at Gardermoen Friday. Botsjkarev was leaving the country after spending two days as an invited guest at a seminar hosted by Norway’s Parliament building on behalf of the European Centre for Parliamentary Research and Documentation. The seminar was held for administrative employees of European parliaments, with no politicians present. 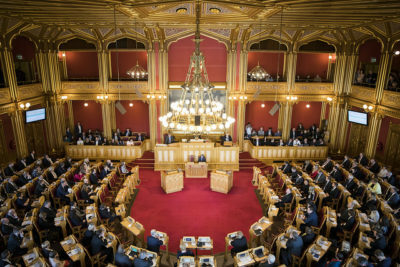 News bureau NTB reported that it was attended by 79 delegates from a total of 34 countries and conducted in the Parliament’s cinema in the wing of the building that runs along Akersgata in downtown Oslo. It’s the same room, reported newspaper Aftenposten, that last year was used to handle the state auditor general’s classified report on how Norwegian authorities are securing various buildings and installations against terrorist attack. Botsjkarev, presented at the seminar as an information technology adviser at the Russian parliament, has spoken on computer security to foreign colleagues. 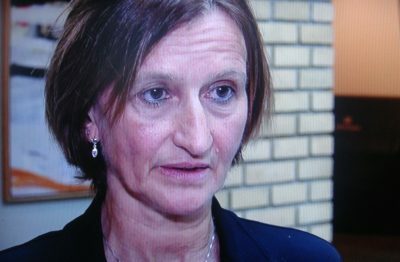 Marianne Andreassen, director of the Norwegian Parliament, has said that the seminar itself did not involved “sensitive” material, but he aroused suspicions among parliament workers because of some unspecified “strange” behaviour. They called in PST and reaction was swift: Botsjkarev was arrested at the airport as he was leaving Norway Friday evening and he was formally charged Saturday morning for “illegal intelligence activity against state secrets.” He was also ordered held in custody for at least the next two weeks. That has elicited the strong reaction in Moscow, where NRK reported that the Russian authorities’ choice of words was “unusually sharp.” They utterly reject any implication Botsjkarev is a spy or intelligence agent, and made it clear that his arrest will have consequences and further damage already tense relations between Norway and Russia. 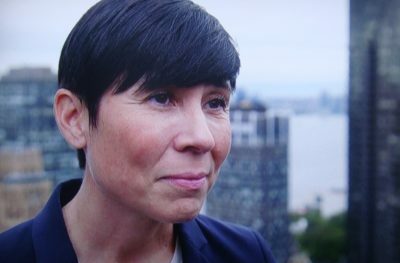 Søreide stoically repeated the same, refusing to respond to the Russian’s angry claims and maintaining again and again that “this is a police matter and not a political matter.” She stressed that it’s now up to PST and the NSM investigators to evaluate what will happen next, insisting that neither the foreign ministry nor the government has any influence over them. “We have an independent police authority and they are now doing their job,” Eriksen said. She refused again to comment on the Russians’ angry reaction. Technical experts from NSM, meanwhile, joined PST in efforts to search for any electronic surveillance equipment Botsjkarev may have planted at the Parliament. Several printers at the Parliament were literally cordoned off and ordered not to be used, for fear they may be tapped for information. NRK showed photos of one printer with a sign taped over it reading “Must not be used.” The NSM and PST investigators confirmed to website aldrimer.no that they were making “technical examinations” of the rooms where the seminar was held and speaking with witnesses. “We’re trying to find out what he has done at the Parliament,” PST spokesman Marting Bernsen told newspaper VG. Botsjkarev remained in custody Monday night but has appealed the custody order. “He can’t understand the charges against him and thinks this all must be a big misunderstanding,” the Russian’s defense attorney, Hege Aakre, told NRK. Speculation has arisen that his arrest may be used in the Russians’ own case against retired Norwegian border inspector Frode Berg, who has been held in a Russian prison since early last December. Berg has admitted that Norwegian intelligence agents convinced him to be a courier, and he was arrested while on a weekend trip to Moscow. Berg’s Russian defense attorney Ilja Novikov told Aftenposten on Monday that “if the man Norwegian police have arrested is an agent, this would be a very great advantage for Berg.” The theory is that Norway and Russia could ultimately swap their two prisoners: Novikov said the Russians would want to get their agent out of Norwegian police custody as quickly as possible, so that the damage wouldn’t become greater than necessary.